There are certain types of food that we constantly revisit and never get tired of eating. These are usually not those delivered with Michelin star restaurant levels of precision but of flavours or aromas that remind of childhood. These are the kinda food that forge such a strong bond with us and/or are associated with some vivid and powerful memories so much so that a taste of those familiar flavours from those bygone years would instantly sweep us back in time and make us feel all warm and fuzzy inside. 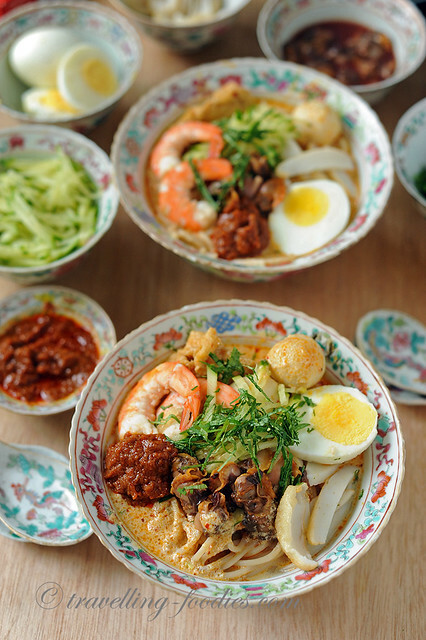 For me, laksa lemak is one such dish. I practically grew up eating laksa lemak, amidst other local delights and I’m quite sure there are well many others like me. The laksa which I remembered first eating was not any of those “branded” names along Katong . In fact, I had my first “Katong laksa” when I was much older in my 20s, and it is not even at Katong but the now defunct Jackson Kopitiam in Macpherson area. The very first bowl of laksa I had when I was really young was from an unassuming looking neighbourhood stall near my old place. This was way before the times when people were aware of Hepatitis B and way before it became fashionable to buy coconut milk in terapaks off supermarket shelves. In other words, it was the time when cockles were really large, fresh and bloody, and one could almost be certain that fresh coconut milk was used to ensure all the “lemak” awesomeness! 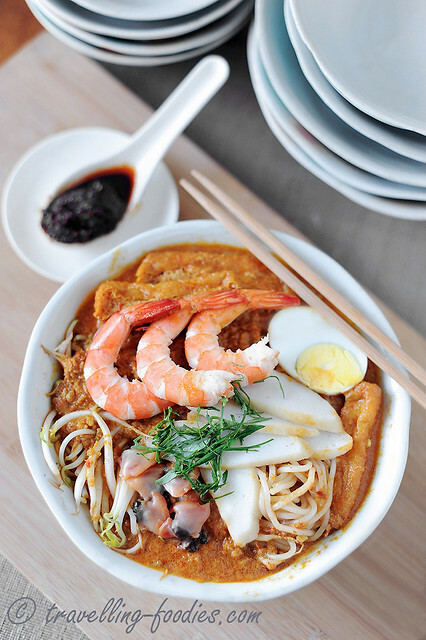 This is the type of laksa which I grew up eating. How about you?